Submitted by Nick Brutus Gra... on May 30, 2017 @ 9:43pm. Turn that frown upside down, it's time to spice up your summer. Shelfies is truly the way. Brace yourselves, as it can be quite overwhelming landing on this heavenly shop on the inter-webs, as you might find yourself wanting to empty your bank account and buy every single item you can get your hands on. So we decided to help you pace yourselves, by putting together a guide to fast-track your summer vibes and stand out amongst your crew. You can also get 15% off anything you buy with our promo code IXDAILYSUMMER during checkout. 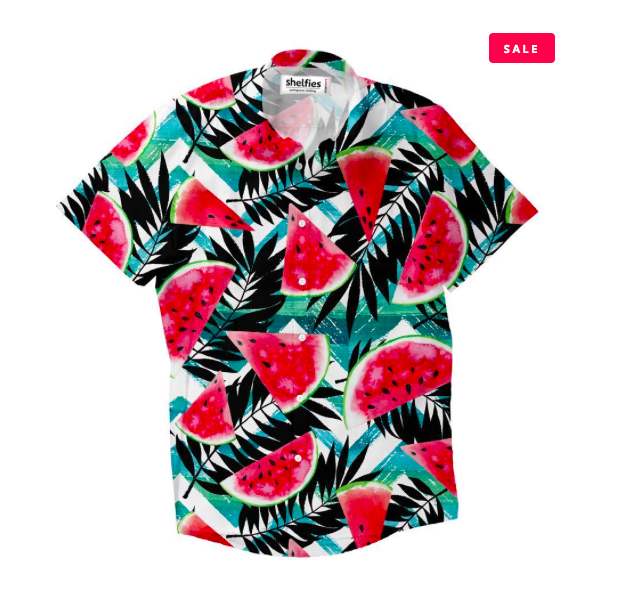 Any guy showing up to the BBQ wearing this Tropical Melon Short-Sleeve Button Down will stand out, in the best possibly way. There's no other way to show how much you hate this earth and want to go out in the galaxy other than wearing a Astronaut Bound One-Piece Swimsuit. 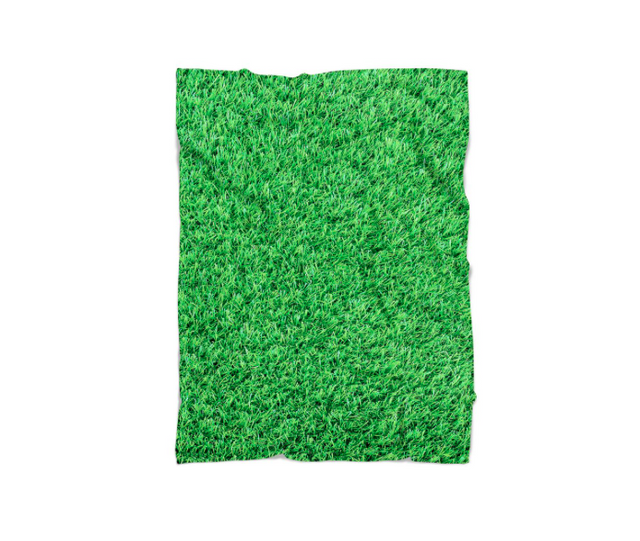 If you want to sit on grass and not really dirty yourself, so you pretend to sit on the grass, but on a blanket that has an image of grass, so you still think you're sitting on grass, but you're not really doing it. Are you hosting a pool party? or are you one of those "I don't drink" type of people, but still want to bring a 12-pack to show off? 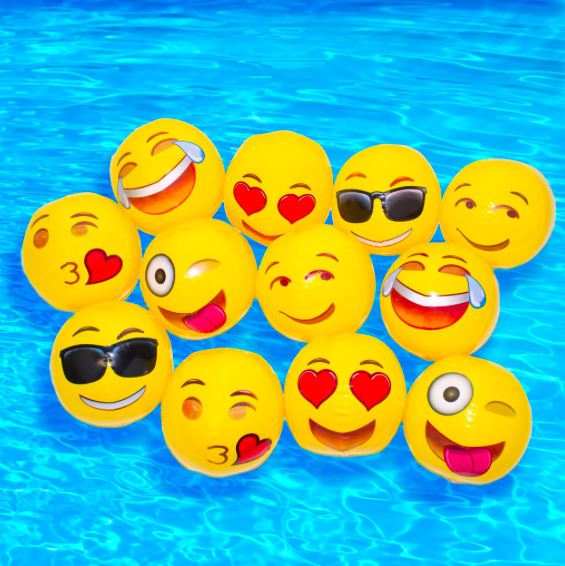 This emoji beach-ball pack is a no brainer then. 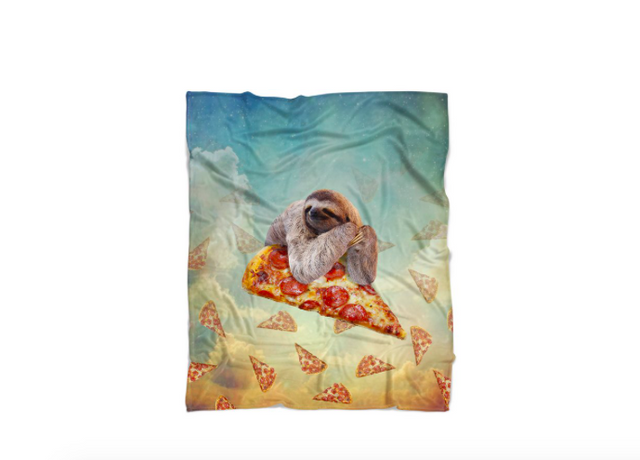 The two most popular things people profess their love to (on the internet) : pizza and sloths... on a blanket. Sipping on one of those unicorn frappucinos? 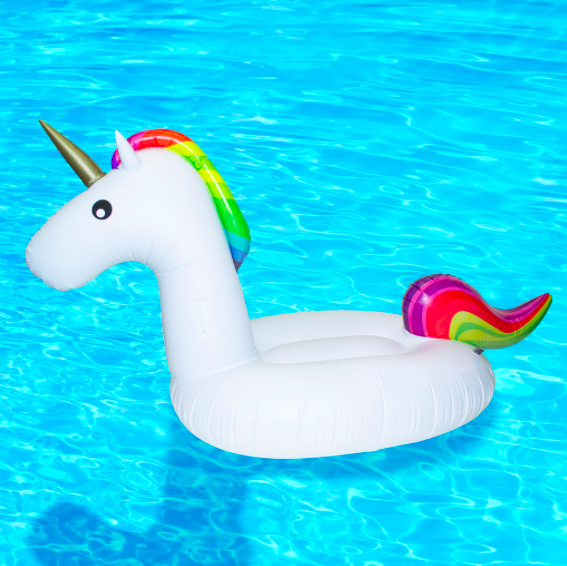 Why not sit on an inflatable rainbow unicorn while you're at it?